Patented design comes in three handy sizes: 20 oz, 34 oz and 64oz. Made from highly durable Polycarbonate ensures durability and keeps the container sealed. Extend the shelf life for coffee, fruits, vegetables, nuts, cookies, pasta, cheese and so much more. 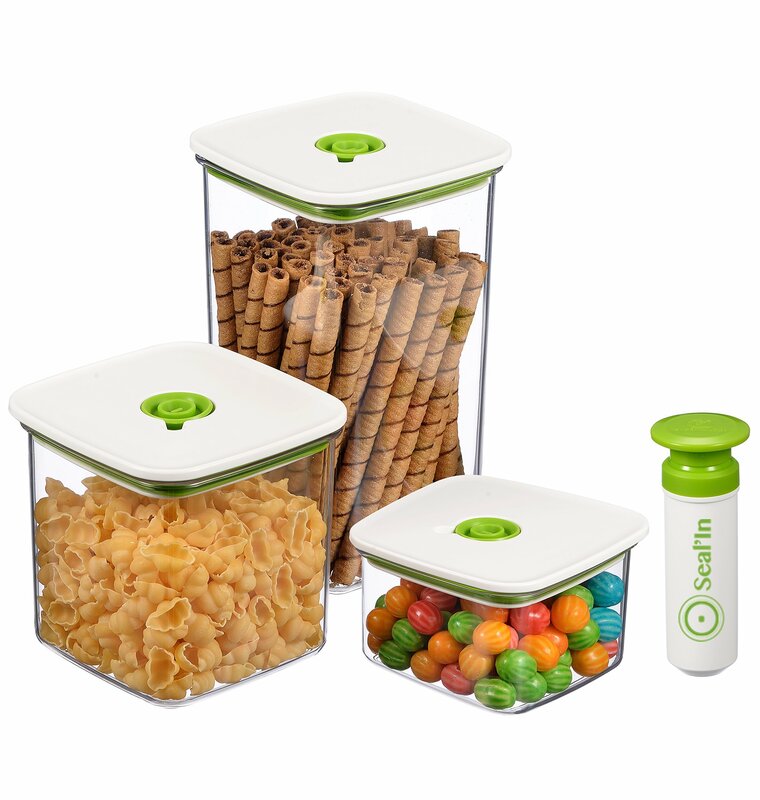 BPA free, freezer, dishwasher and microwave safe.